It was with a tinge of sadness but great pride that we have awarded our first (and hopefully last) posthumous Gold award to Del and Molly. They are only the 14th combination to have reached this standard since Enve Canine Services started in 2010. Molly was 8 years old when Del and Siroun found her at Battersea Dogs home in Windsor. She was very loving but she was reactive to dogs and not knowing her background was a challenge. 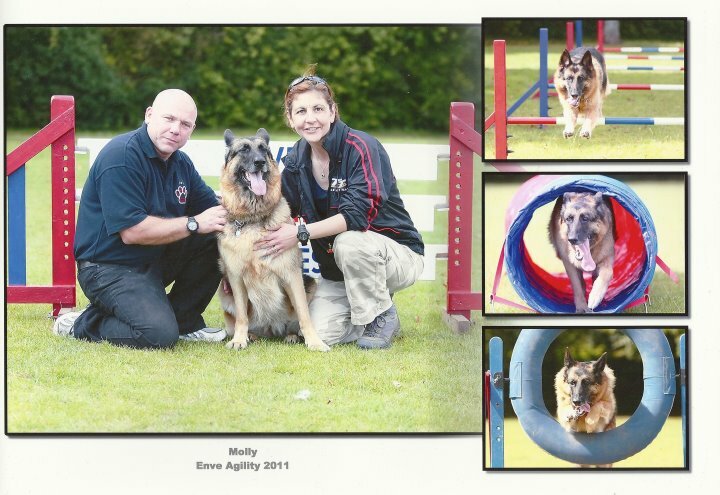 Del worked very hard, training Molly with Enve to improve her social skills and Molly passed her Gold II test before they sadly lost her in 2015 to a spinal disease and stroke. 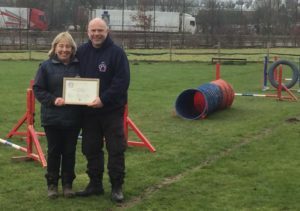 Following Del taking and passing his owners exam it was only right that we recognised their hard work and gave Del their Gold award in Molly’s memory. 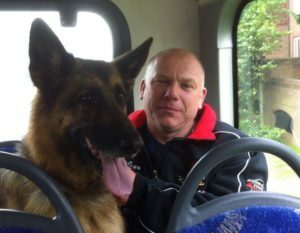 Molly is still very much missed but Del and Siroun have a new dog in their lives – rescue GSD Sadie and we are looking forward to seeing her strive for her own Gold award.